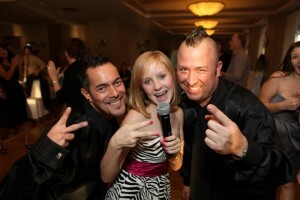 ﻿ Bar and Bat Mitzvah’s- Mobile DJ Service in Southern California and now Worldwide. There is no one “correct” way to plan or schedule a Bar or Bat Mitzvah day. There are an infinite number of options that are acceptable. New trends, styles, personal preferences, and other factors may cause some of this information to become obsolete. Because of the overwhelming importance, we again repeat that our numero uno tip for parents is to prioritize fun over everything needing to be perfect. Don’t fall prey to becoming a control freak. Don’t try to micro-manage everything! Instead, hire and entrust competent people to handle your Mitzvah details, and leave the detail to them. That’s their job. Your task is to simply enjoy your child’s special day. Video Presentation – Excellent way to start the party. Grand Entrance – Introducing the guest of honor and immediate family. Sets tempo for event. Horra – Traditional or contemporary. Blessings – Motzi and/or Kiddish. Candlelighting – as dinner/lunch wraps up. Mother/Son or Father/Daughter Dance – Whole song or portion of song and invite guests to join.